Kane hasn’t gone totally quiet in the last three weeks, either. Sabres coach Phil Housley believes Kane, who has averaged 3.5 shots a game over the last 11, has kept generating chances. Still, the Sabres, the NHL’s lowest-scoring team with just 2.2 goals a game, desperately need Kane’s offense. 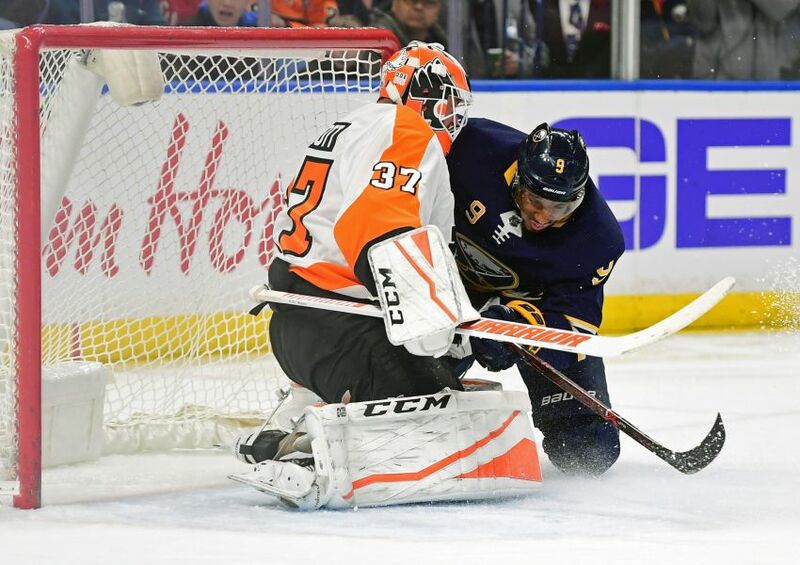 Housley tinkered with his lines again following Sunday’s 4-1 loss in Philadelphia, the Sabres’ fourth straight setback (0-3-1). Kane should start tonight’s game against his old team at left wing beside center Ryan O’Reilly and Jason Pominville. The Sabres will make one lineup change, inserting rookie defenseman Brendan Guhle for veteran Josh Gorges. Defenseman Justin Falk and winger Benoit Pouliot will be the other healthy scratches. Goalie Robin Lehner, who missed Monday’s practice, will start, his 33rd appearance this season. The Jets will start goalie Steve Mason, his first nod in seven games. In other news, Sabres defenseman Victor Antipin, out the last two weeks battling the flu, skated with his teammates this morning. Antipin looked noticeably thinner. The Sabres lost 4-3 on Friday in Winnipeg. At 25-11-7, the Jets are one of the NHL’s biggest surprises.